At Irish Heating and Air, we know the value of finding a heating and ac team that is reliable, friendly, and at the top of their game. Luckily for you, our Manteca HVAC repair and installation team is all that and more. Our HVAC contractors are the best of the best, chosen for not only their technical ability and HVAC knowledge, but also for their exceptional dependability and customer service skills. We know that getting the work done is only half of the job – the other half is making sure you’re satisfied with our care, dedication, and professionalism. Call today for fast, dependable service from one of the Central Valley’s most dedicated teams. Why Call Us for Your Heating and AC Needs? We are five star rated on Yelp and A+ rated by the BBB. We’re backed by a fleet of fully stocked work vehicles, so less time is spent in transit, running around for parts. We are a one-stop shop that can handle 100% of your heating and ac needs. Summers in the Central Valley can be dangerously hot. If your air conditioner fails, you need a reliable team that can handle your AC repair in Manteca, and quickly. Irish Heating and Air has been providing fast and efficient air conditioning repair in Manteca for over 10 years and we’re still just getting started. We provide A/C repair service for any make or model of AC unit, so you have nothing to worry about. Our ac installation services in Manteca are based on one simple rule: use the best people to install the best equipment. 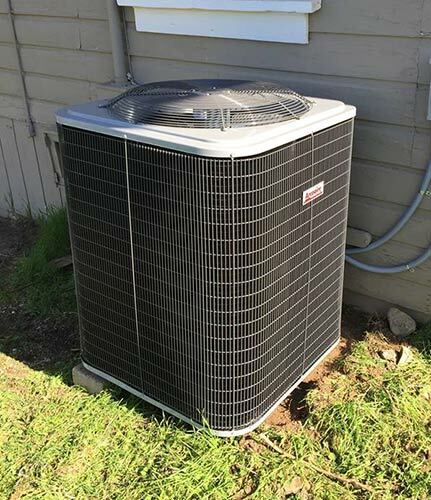 We install AC systems with high SEER ratings from trusted manufacturers like Arcoaire and Bryant, so your equipment will last for the long haul. Our installations are backed by a one year labor warranty and we offer free in-home estimates for all new A/C installations in Manteca. “The air conditioning in my house stopped working on Saturday – The temperature inside quickly rose to 81 degrees. I called Irish Heating & Air and spoke to a very nice woman who said they’d send someone out between 3 and 5 that day. I asked what the charge was for “emergency call on the weekend” and she said there wasn’t one! SOLD !!! The tech showed up right at 3. Crawled up in the attic, tested a part, said it had failed. Replaced the part and the AC was back up and running within minutes. One of the things I liked the best was the standard pricing. No hidden costs anywhere – it is what it is ! That is awesome. 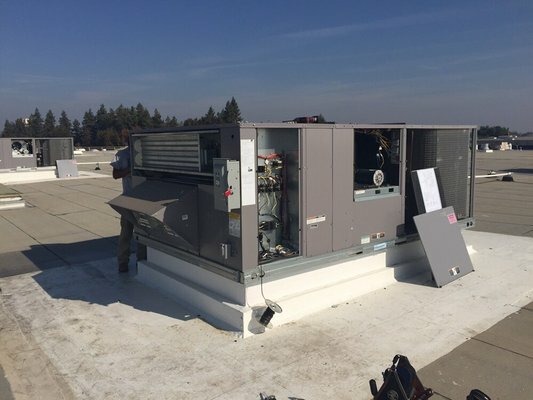 When it comes to commercial HVAC repair and installation, there isn’t any room for error. Whether you’re a restaurant that needs immediate commercial AC repair or a warehouse that is ready for a new system design and installation, we can handle it, 100%. We install all major brands of HVAC systems, including AC only, heat only, and combined systems for all commercial properties, including multi-family residential, retail, restaurants, mixed used, industrial, and municipal. Because we know how valuable our skills are to our customers, we don’t limit our stellar services to Manteca alone. Our everyday service area includes Tracy, Turlock, Manteca, and the greater San Joaquin County. That means that if you live in Tracy but work in Manteca, we can provide heating and air conditioning services to both your residential and commercial buildings. 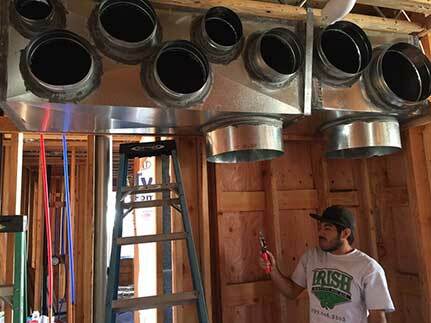 Why mess with multiple HVAC providers when you can have a single excellent one? Make life easier for yourself by putting Irish Heating and Air on your list of trusted air conditioning repair providers. Call us today for an initial consultation and start saving time, money, and your sanity!